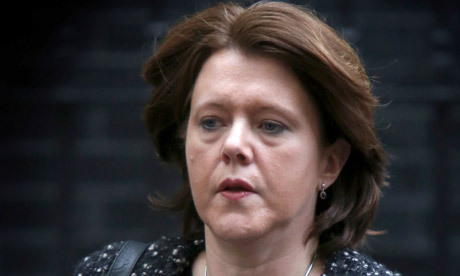 How does a guy get 6 months for stealing a bottle of water but the former culture secretary Maria Miller walks away like she is somehow the victim? More evidence of the galling and unapologetic two tier treatment that is the UK justice system. In his book with Liberty and justice for some Glenn Greenwald in accurate detail, reveals the two tier justice system in the USA .He wasn’t short on examples of the severity and harshness doled out to poor, often minorities and the forgiving and open mindedness when dealing large corporation or individual of power .Justice it appears isn’t blind or even partially sighted, it is system rigged against the poor for the rich. How else do you explain such colossal discrepancy, when a guy can get 25 year life sentence for stealing a pair of sock , as part of Californian mandatory sentencing and white collars criminal steal billions of dollars, ruining lives and millions of people are deem “Too big to jail” .Or people with the Bush administration that were not prosecuted for crimes because the Obama administration thought it best to look “forward not backward”. What person facing a jail term for possession of pot wouldn’t like the judge to take in the same logic. Yet that two tier justice is here in the UK alive and kicking. This week the gall of audacity of the Tories as they accuse the press and reporter of a “witch hunt “ of the culture secretary Maria Miller who was caught stealing and let’s call it what it is “stealing”, money from the public purse .Not only did she steal but he made it hard for those investigation to get to the truth. She has of today resigned but so what and she has said she is going to pay the money back, but so what. Yet in 2011 a 23 years old student during the London riots stole a few bottle of water valued at £3.50 was jailed for 6 months. Unlike the former culture secretary Maria Miller he wasn’t just given the option of paying back the £3.50 or playing the “i’m sorry it was just a mistake ” line that she has taken .Going in a stealing food from Tesco without paying is still a crime even if in my mind I thought I had already paid .When did being an Idiot become the thing that defines if something is or isn’t a crime? Then I thinking add to all of this is the lack of outrage of the media .Kid gloves and moderated respect is the unspoken rule when dealing with people of status and importance, even if they are on their way out .Events like this just highlight how utterly corrupt and sold out is our political system and the media that is meant to be keeping them in check.